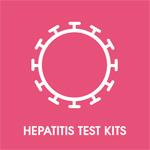 TakeATestUK provides a range of different tests which help diagnose a number of Sexually Transmitted Infections [STIs] and Blood Borne Viruses [BBVs]. Depending upon the information you provide, we will suggest the kit we think is best for you; but you are welcome to select any kits you wish to have sent to you. We understand that STI and BBV testing can be nerve-wracking and even embarrassing. It shouldn’t be. There is no shame in being sexually active, and testing is the best way to take charge of your health and ensure it is maintained. Every STI and BBV is treatable: from antibiotics for syphilis to antiretroviral drugs for HIV, the drugs available today are excellent. Some conditions cannot be cured – but you can live a full and long life with all of them, if you catch your infection early enough. That’s why getting tested is so important: if you know your status you can get treated … and stay healthy with regular testing, too. Developed by experts, our home testing service makes use of state-of-the-art laboratories, benefits from the clinical and scientific input of expert consultants and technicians, and offers the same peace of mind and guaranteed quality of any NHS service. 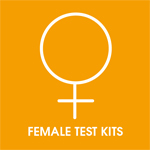 All of the postal kits we provide use “gold standard” technology, such as the Aptima Combo Tests™ for Chlamydia and gonorrhoea. 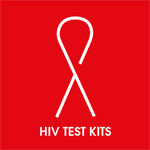 Our HIV tests, meanwhile, are 4th Generation and performed using the Abbot Architect™ technology. 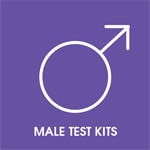 All our tests are the same ones used in the best NHS sexual health clinics. They have been chosen because of their superior performance in terms of sensitivity and specificity, so you can be sure you are getting the correct results. All of our samples are tested in laboratories administered by Public Health England (PHE) in Birmingham. These laboratories have passed the very highest accreditation standards (CPA ISO 15189:2012). so you can be confident of the test results you receive.